I have often posed this hypothetical to audiences: What if I came to your local school’s parent/teacher organization and told you that someone had decided no longer to teach history there? Parents and teachers would be up in arms, even those who didn’t like history when they were in school. We may not be able to articulate why, but most parents think that teaching history is important. Now what if I said we would no longer be teaching archaeology? The groups I talk to kind of laugh and agree that probably no one would say anything. 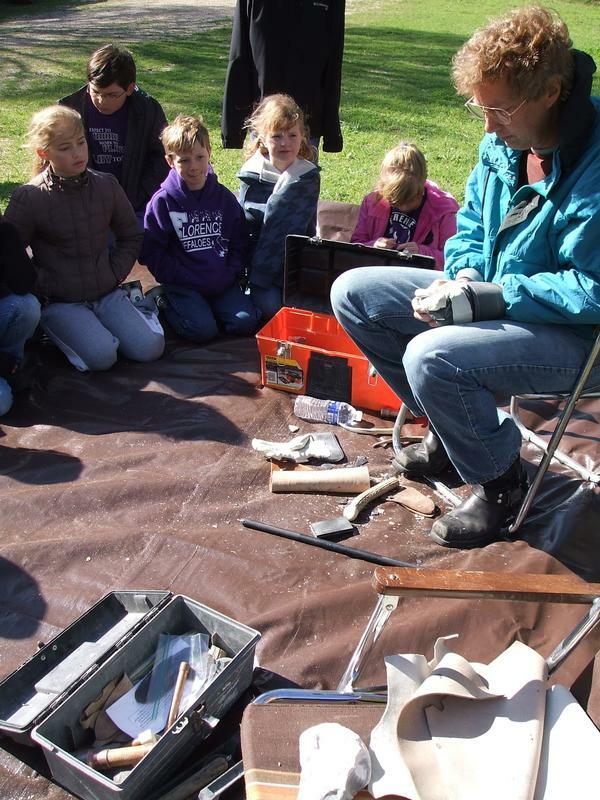 When I tell them that much of what their children learn in history or social studies classes is actually archaeology or heavily informed by it they are most often surprised and curious. Curiosity is one of the strengths from which education programs can greatly benefit. As archaeologists, we’ve done a poor job in the past of promoting our field’s goals and results (as opposed to its glamour and romance) to the public. Yet people are intrigued—though poorly informed—about archaeology, and this intrigue gives us a foot in the door. What does this have to do with site preservation? I am familiar with two sure, interconnected ways to protect a site. One way is to involve and inform the local community as much as possible about the site or excavation. Make it into “their site” and residents become a lot more protective of it. It is more effective (and certainly more cost effective) to enlist hundreds of pairs of eyes rather than to erect fences, cameras, and other security systems. The second way is to educate people about what archaeology does—why it is important to all of us and not just to archaeologists. 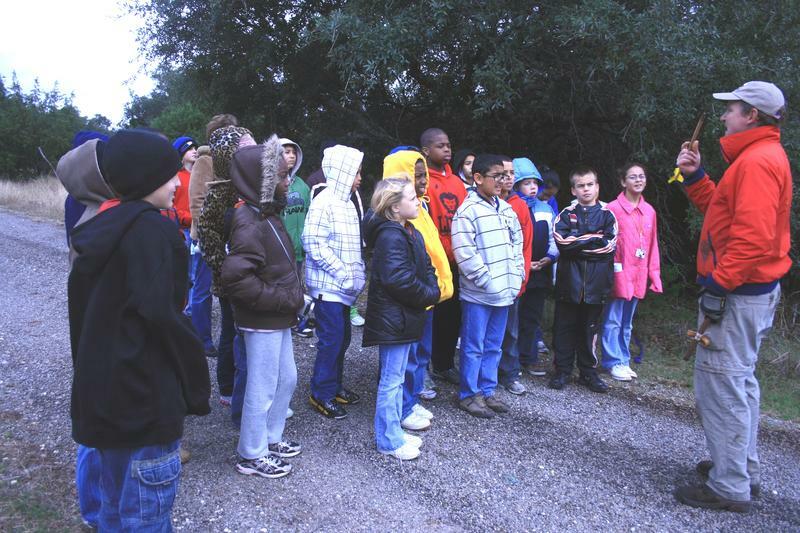 It is never too late to educate the public (I talk often to senior groups) but it is easier to reach schoolchildren before they learn that there is any other way to look at sites. 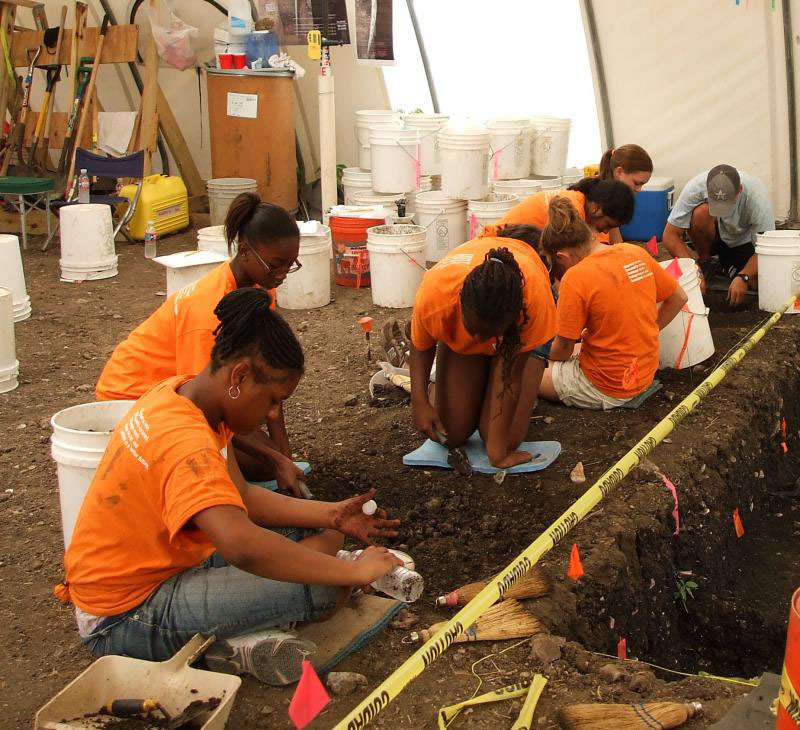 The Gault School of Archaeological Research (GSAR) is a nonprofit dedicated to the research and education of the first peoples in the Americas. 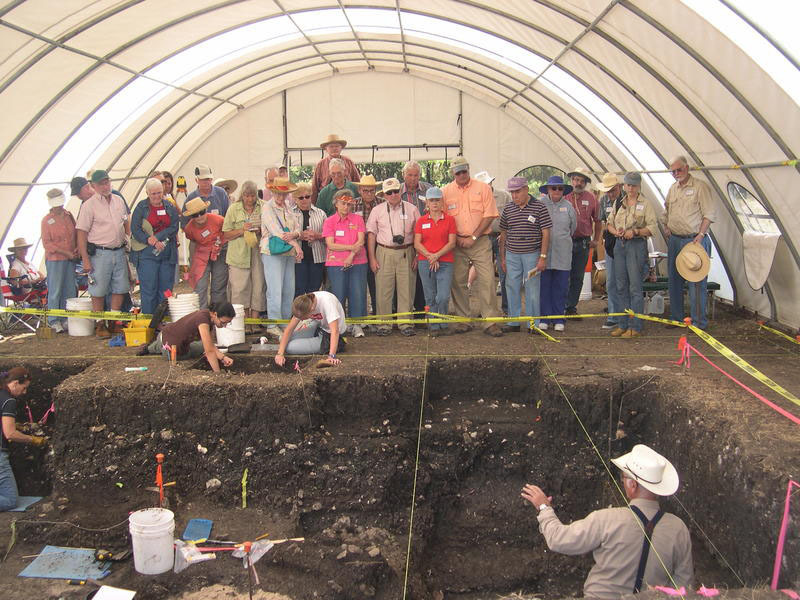 We often have several projects going simultaneously but our most famous work is going on at the Gault site, a Texas State Archaeological Landmark. Gault is a site that was almost continuously occupied for at least 14,000 years and, though looted and collected heavily over more than 70 years, has proven to contain one of the continent’s largest Clovis culture (a Paleo-Indian culture known for its manufacture of Clovis projectile points) sites. The land itself has been protected by a donation to the Archaeological Conservancy and we have aggressively pursued the two methods outlined above to ensure long-term protection. An AIA Site Preservation Grant gave us an opportunity to expand our current programs. The GSAR has a professionally produced a 21-minute video that we have used in our education programs. After receiving an AIA Site Preservation Grant in April, our first task this year was to design and implement a teacher’s guide with accompanying lesson plans that will be given out with the video as well as available on our website for download. A volunteer committee, made up of some of our partners in the Texas archaeological community (especially the Texas Archeological Society and Texas Historical Foundation) and interested teachers, has helped us to put together a guide that will greatly leverage the value of the film. School kids have already enjoyed it but now they will find even more learning opportunities while meeting state educational requirements.